Please tune in to GBMC’s Facebook page on Tuesday, October 24 at 6pm for another live cooking demonstration with Michael and Jana! Watch the pan-seared rockfish cooking demonstration here. Prepare the Chimichurri sauce by combining parsley leaves, extra virgin olive oil, red wine vinegar, garlic cloves, crushed red pepper. Season with salt and pepper and puree in a robot coupe food processor until smooth. Set aside. Peel the butternut squash and cut it into 1/8 inch rounds. Fry the butternut squash chips in a ¼ in of extra virgin olive oil until browned on both sides. Place on a paper towel on top of plate to soak up any extra fat. Cut the rockfish filet into two four-ounce pieces, coat both sides with extra virgin olive oil, and season with salt and pepper. Sear the rockfish skin side down until browned and turn over. Meanwhile, sauté minced garlic and wilt baby spinach in a separate sauté pan. Place a butternut squash chip in the middle of the plate, put wilted spinach on the butternut squash chip, top with the rockfish filets and then top with Chimichurri sauce. Finding out that you have breast cancer is something no one wants to hear, and many women avoid scheduling a mammogram for fear of the diagnosis and potential treatments. GBMC’s primary care practices and the Sandra & Malcolm Berman Comprehensive Breast Care Center at GBMC want to change the way people think about breast cancer because getting a breast cancer screening is one of the most important things you can do for your health. October is breast cancer awareness month, but any time of year is a good time to talk about the disease with your primary care provider. Your physician will work with you to decide how often you should be screened depending on your individual risk factors (age, family history, body mass index, etc.). If necessary, a mammogram will be recommended for you, which can be performed at the Advanced Radiology practice located conveniently on the GBMC campus. In the event a breast cancer is diagnosed, one should remember that most breast cancers are curable when detected early and when small. GBMC’s Breast Care Center offers a multidisciplinary approach to treatment that is tailored to each patient’s needs in a healing and supportive environment. A team of experts in surgical oncology, medical oncology, radiation oncology, pathology, plastic surgery, lymphedema, nutrition, and genetics works together closely to get patients the information and care they need. If your doctor determines that you meet clinical criteria for genetic testing, you will have access to a full evaluation with our specialists at The Harvey Institute for Human Genetics. A nurse navigator and Oncology Support Services staff members are also available onsite to guide patients through the journey. Fear of needing multiple or complex surgeries is another reason why some people may avoid breast cancer screening. In the past, a breast cancer diagnosis almost always resulted in a mastectomy, but that is no longer the case. Improved surgical techniques have made it so that the majority of breast cancer surgeries are small outpatient procedures. 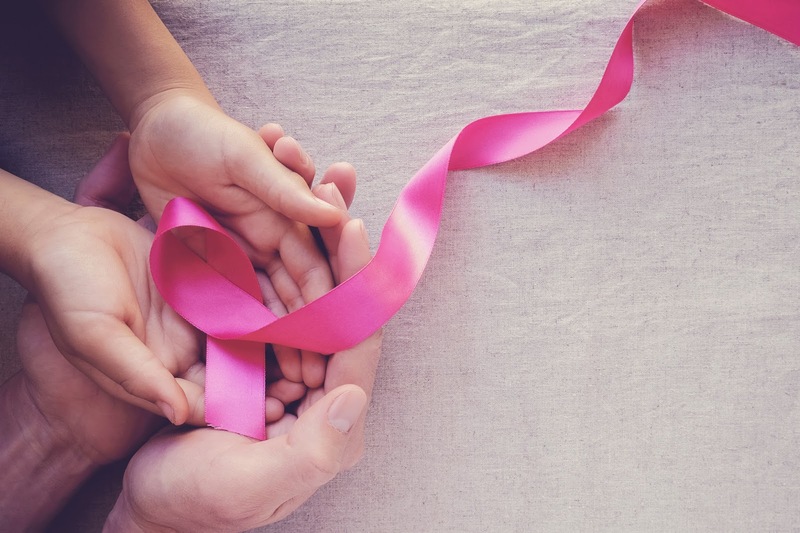 It is now the standard of care that women undergo breast-conserving therapy defined as a lumpectomy followed by radiation therapy for small tumors in the breast. Reconstructive surgery is often not needed. Dr. Sara Fogarty, DO, Associate Director of the Sandra & Malcolm Berman Comprehensive Breast Care Center, recently sat down with Gina Crash, Co-host of Today's 101.9 Morning Show, to share updates in breast cancer care and the many services her team provides. Watch the full interview here. There are a lot of myths surrounding the topic of vaccines and it's important to know the truth about them. Getting vaccinated has a hugely positive effect on your health and the health of those around you. 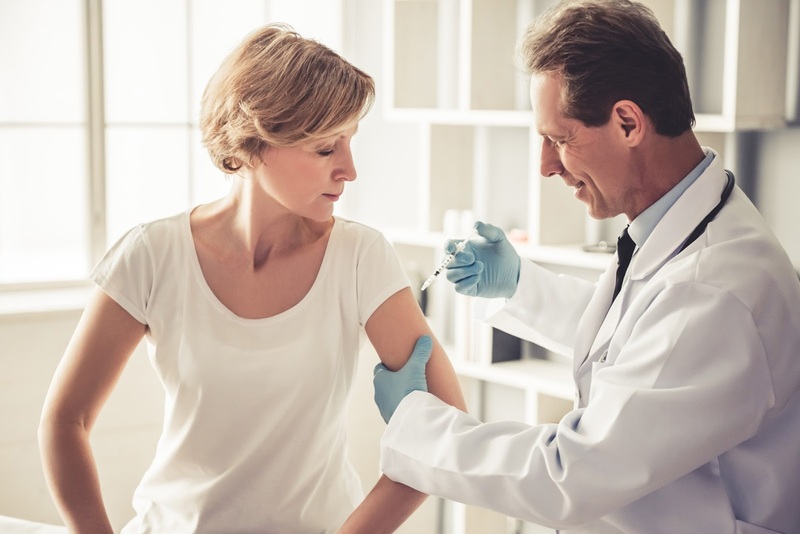 Vaccines are the reasons that we no longer have to worry about many dangerous diseases like polio and smallpox and they greatly reduce your likelihood of catching the flu, pneumonia, shingles, and other viruses. Contrary to what you may have heard, vaccinations do not cause autism in children. According to the Centers for Disease Control and Prevention (CDC), there is no link between the two, and leaving your children unvaccinated puts them at risk when they are most vulnerable. Diseases that may make a healthy adult uncomfortable for a couple of days can be devastating to young children, especially those with a compromised immune system. There is a small population of children unable to get vaccinated due to other health problems; they are particularly vulnerable. One of the ways that we can protect them is through what is called "herd immunity." This is when the majority of the population becomes immune to a disease, stopping its spread and protecting those who can't be vaccinated. However, it only works when healthy people get vaccinated. Many people have heard that getting a flu shot actually causes the flu. As stated by the CDC, this simply isn't true. You may experience some side effects, but the mild and short-lived symptoms are nothing compared to coming down with the full-blown flu virus. If you had chickenpox as a child or were never given the vaccine, you are at risk for getting shingles, a painful, blistering rash that appears on your skin. Shingles mostly occurs in adults over the age of 50 and is caused by the same virus that causes chickenpox. If you were infected when you were young, it's possible for the virus to reactivate and cause shingles. Another easily preventable disease is pneumonia. A majority of pneumonia cases are caused by a bacterial infection that can most often be prevented by the pneumonia vaccine (however, vaccination does not prevent pneumonias caused by a viral infection). Pneumonia frequently causes complications for the elderly and for those who are already ill and is the number one cause of vaccine-preventable deaths in the United States. This fact can be easy to disregard if it isn't relevant to your situation. However, the purpose of vaccines is prevention. Getting vaccinated not only prevents infection in the future, it can give you peace of mind knowing that you've done what you can to protect yourself and others around you. If you have not been vaccinated against the flu, pneumonia, or shingles, or you are not sure, speak to your primary care physician about scheduling an appointment for vaccination. Your doctor will consider your risk factors and advise you about when it’s appropriate to receive each vaccination. If you don’t have a primary care physician, visit www.mygbmcdoctor.com or call 443-849-GBMC (4262) to find one who is right for you. 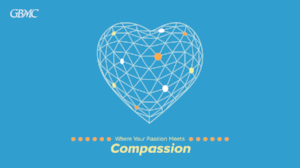 Know a Compassionate Caregiver at GBMC? One of the ways in which the GBMC HealthCare System recognizes its outstanding team is through its annual Compassionate Caregiver Award. The award was created to honor those who deliver exceptional care and service to the patients and family members at GBMC. We invite you to nominate someone working or volunteering at GBMC HealthCare, who in daily practice listens, supports, advocates and understands what patients and their caregivers are going through. This person has a special talent and dedication that enables him or her to demonstrate concern for others and incorporates this concern into his or her daily work or practice. If you know someone who meets this description, please take the time to nominate him or her TODAY! The nominee’s role at GBMC could be anything - security officer, cashier, physician, nurse, transporter, analyst, technician, or administrative employee. All employees and volunteers are on the same team, working to make a difference in the community. Up to 5 finalists will be selected each year. The winner will receive a $1,000 cash prize, and 4 honorable mention recipients will each receive $500. The winners will also be recognized with a prominently displayed permanent plaque. We’ll announce the winners at a special recognition event on Wednesday, December 6 at 12 p.m. in the Civiletti Conference Center. Please submit your nominations by midnight on Tuesday, October 31. Please tune in to GBMC’s Facebook page on Tuesday, September 26 at 6pm for another live cooking demonstration with Michael and Jana! According to Ms. Wolff, the calories from these foods are negligible. She encourages people to get in the habit of filling half their plates with non-starchy vegetables. These veggies provide, fiber, many vitamins and minerals, and provide antioxidant phytochemicals from their bright colors. The roughage of the veggies also helps to keep people fuller for a longer period of time. There are so many ways to prepare veggies –from sautéing, like in this recipe, or baking, steaming, blanching, or grilling. They can even be cooked ahead of time for the week. It's Time to Get Checked! 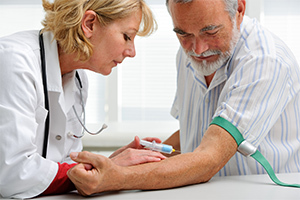 Spread through blood and other bodily fluids, Hepatitis C is thought to have a high rate of occurrence in Baby Boomers, who grew up during a time when infection control practices were not standardized and blood products may not have been screened thoroughly. The good news is that most people diagnosed with Hepatitis C are cured after treatment. Talk to a primary care physician about your risk, appropriate testing and ways to protect yourself and your family members in the future. If you do not have a primary care physician, visit www.mygbmcdoctor.com/ to find one who is right for you. Separate three of the eggs into yolks and whites. Whip egg whites and cream of tartar to stiff peaks. Whisk together egg yolks and fat-free Greek yogurt. Whip a small amount of the egg whites into egg yolks. Fold egg yolks into egg whites until fully combined. Distribute batter into six segments on a baking tray lined with parchment paper or a Silpat. NOTE: The mixture should hold its shape and look like a fluffy cloud. Bake in a 300-degree oven for 10-15 minutes or until golden brown. Remove cloud bread from tray and place on a cooling rack. *Cloud bread will store in the refrigerator for 2-3 days. Put extra virgin olive oil in a sauté pan and warm over medium heat. Season the turkey sausage with salt and pepper. Place turkey sausage in sauté pan and cook for 3 minutes on each side until golden brown. 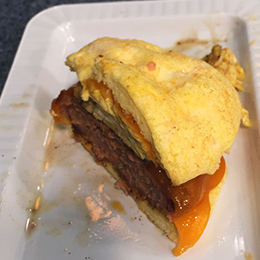 Melt cheddar cheese on turkey sausage and place both on a piece of cloud bread. Crack the remaining egg on a flat surface and put it into a bowl, checking for any shell. Scramble the egg in the same pan as turkey sausage; add additional olive oil as needed. Season the egg with salt and pepper, place on top of turkey sausage and add a second piece of cloud bread.